Snap Inc. disclosed earnings in its first quarterly report since the company’s multi-billion dollar public offering earlier this year, and the results were less than stellar. Much to the chagrin of investors, Snapchat demonstrated lower than expected user growth rates. Even though the app increased its base by 5 percent to 166 million daily users during the last quarter, the figures represent Snapchat’s slowest year-over-year growth rate in the last two years. The disappointing report sent Snapchat’s stock prices tumbling more than 24 percent Thursday afternoon. The situation looks even more grim when compared to competitor Instagram, which announced last month that its own version of stories now boasts 200 million daily actives (more than Snapchat’s entire app). In order to regain ground, Snap has released a number of app updates including limitless snaps, a looping video option and a magic eraser. In an effort to enhance the user experience by cutting down on low-quality ads, Facebook has announced changes to its News Feed algorithms that will attempt to eliminate misleading, sensational or spammy content. The company says the updates, which will be rolling out over the next several months, should reduce the economic incentives of those looking to post fake news, viral clickbait and shocking or malicious material. The move aligns with Facebook’s more proactive approach to moderating News Feed content following last year’s U.S. presidential election, which saw critics condemn the social media platform as homebase for the spread of misinformation. 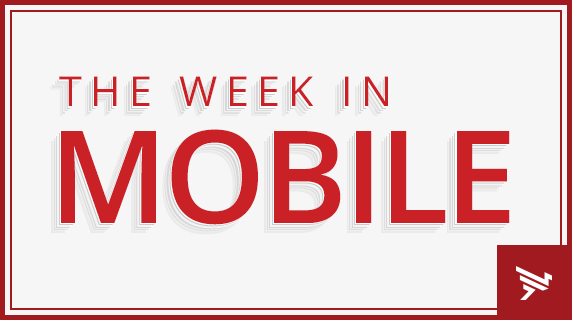 It was an active week for smart home devices with the introduction of several new products. Amazon unveiled a brand new addition to its Echo family that will allow users to make video calls, watch YouTube and much more. The device, which is called Echo Show (available June 28), features a 7-inch touchscreen and a 5-megapixel camera that incorporates the Alexa voice assistant. Alongside the new screen device, the company revealed a new feature that enables the entire Echo family to make phone calls using Alexa. Users with the Echo, Echo Dot, Echo Show or Alexa app will now be able to place WiFi calls to any other Alexa-enabled device. But Amazon has some eager competitors. Harman Kardon revealed a new device powered by Cortana. The Invoke speaker is set to release in fall of this year, and comes equipped with 360 degree audio, the ability to make Skype calls and ask Cortana questions. Apple is rethinking a policy introduced last month that cut commissions for members of its App Store affiliate program from 7 percent to just 2.5 percent. The company now says that the 2.5 percent rate will only apply to in-app iOS purchases, while rates for other purchases will remain the same. Apple did not immediately comment on why it decided to rethink the policy, which took effect on May 1. Meanwhile, Android has revealed plans to do away with its “Top Developer” program, announcing that a new approach is on the horizon. The program, which recognized reputable developers with a blue logo on their app listings, is set to be replaced by a system that will give clout to individual apps and games, rather than the developers or organization. Google says it will be closing the Top Developer program and removing the blue badges within the next 30 days, but did not specify when the new system would roll out. Google made major moves over the past week to strengthen its hand when it comes to Virtual Reality. The company announced last week that it has acquired award-winning VR studio Owlchemy Labs. The Austin, Texas based company has produced popular VR games such as Job Simulator, Caaaaardboard! and Rick and Morty: Virtual Rick-ality. Separately, Google revealed that its working with new partners to create “Street View ready” certifications for a number of 360 degree cameras. The long-awaited certifications are likely to spike interest in 360 degree cameras, which could be used to bolster VR projects. Local transport app Citymapper is demoing a “pop-up bus route” in Central London that aims to provide public transit for areas where it is often needed, but not available. The app, which utilizes real-time data from local governments to provide suggestions on the quickest mode of public transportation, now wants to leverage its signature technology to create a better city bus service. Citymapper’s smart buses have been outfitted with USB charge ports and screen displays to inform passengers where they’re heading. The experimental free service is expected to last two days.